Indeed the title and cover design is quoted from "Who moved my cheese? ", but it is not just a parody. Rei in "EVA Ha" is gone in "EVA Q". I wondered why. Where have my favourite Rei gone?! That's the reason why I've written the dojinshi. I do believe that there is nobody who can be replaced with Ayanami. Also, I added my opinion referred to "Who moved my cheese?". 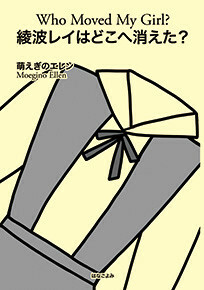 Even though I don't think my dojinshi is the final correct answer, I'm so glad to hear that you would like to read it.